Greta Thunberg is not your average 16-year old. The daughter of Swedish opera singer Malena Ernman and actor Svante Thunberg has caught the attention of the world for an entirely different reason than being the daughter of her famous parents. Rather it is her fierce determination to solve the pending environmental crisis. Before the 2018 Swedish general election, Greta Thunberg was merely a teenager with a passion for the environment. That was before German newspaper Bild aptly nicknamed her “eco-Pippi” and she stepped out in the spotlight as an inspiration to climate activists, young and old, across the globe. It all started when then-15-year-old Greta won a writing competition in local newspaper Svenska Dagbladet for an article she wrote on climate change. 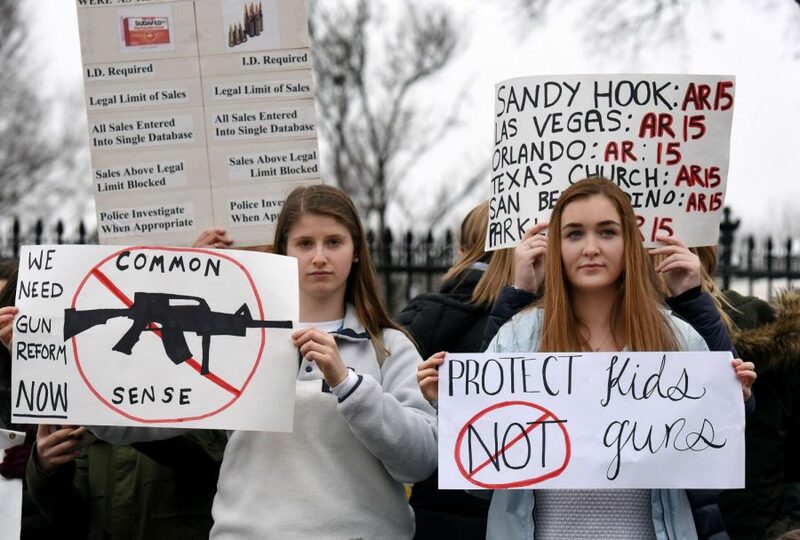 Around the same time, Greta had heard about students in Florida organizing school strikes after the Parkland shooting. This inspired her own protest against the politician’s failure to take the climate crisis seriously. As the Swedish general election was approaching, Thunberg decided to organize a school strike outside the parliament building to put pressure on the politicians. 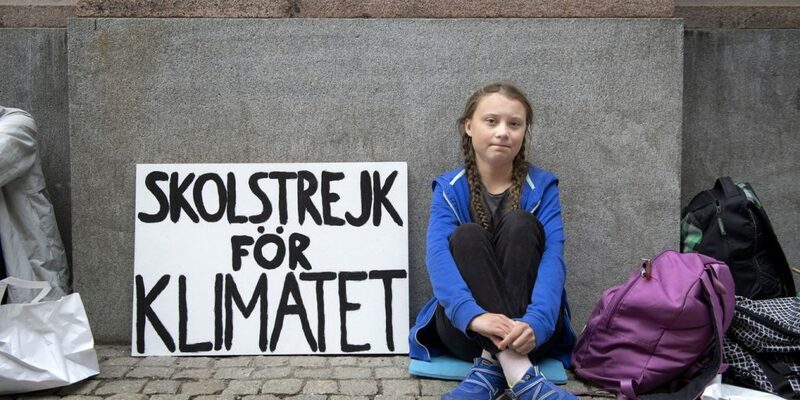 Every day leading up to the election, she would sit outside the parliament with her recognizable homemade sign with the text “School strike for the climate”. Little did anyone expect that her message would reach far beyond Sweden’s borders. Inspired by Thunberg, students all over the world are now joining her fight to raise awareness about climate change. And adults, too, are quickly realizing that Greta is a force to be reckoned with. 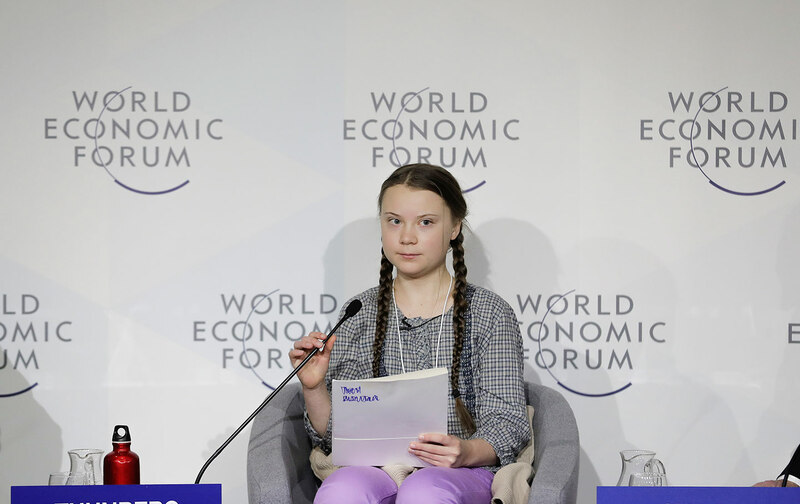 Since the phenomenon of the young girl taking on climate change began gaining attention, she has taken part in countless interviews and has been invited to speak at several high profile international climate meetings. Her speech at the COP24 Climate Change Conference in Poland in December currently has over 650 000 views on Youtube. Staying true to her own values she opted for a 30+ hour train ride rather than a short flight to Switzerland, unlike many of her seniors at the forum. Greta Thunberg has proven that she is willing to step up and be a role model for climate activists everywhere by leading by example. She continues to strike outside the parliament every Friday and, she says, will continue to do so until the government takes action and encourages others to do the same; “Whoever you are, wherever you are, we need you now to stand outside your parliament or local government office to let them know that we demand climate action.” As for the future, Greta is considering taking a year off from her high school studies to pursue activism full time. It is clear that Greta will not give up until politicians worldwide start listening to her and take action to solve the climate problem.